Landscaping and Property Maintenance - Why I find vertical line edging disturbing - Proper Landscaping Inc.
How do you handle your edging at home or at work? 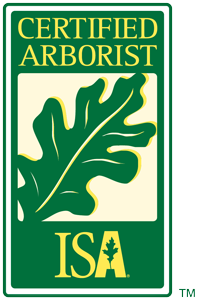 When I started out in landscaping in 2000, I wasn’t allowed to vertical edge. 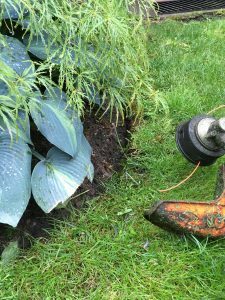 We always used a blade edger and that became my habit until I switched companies. My previous employers referred to people who practiced vertical line edging as “clowns”. Now, once in a while I give vertical edging a go, especially in lower profile areas. 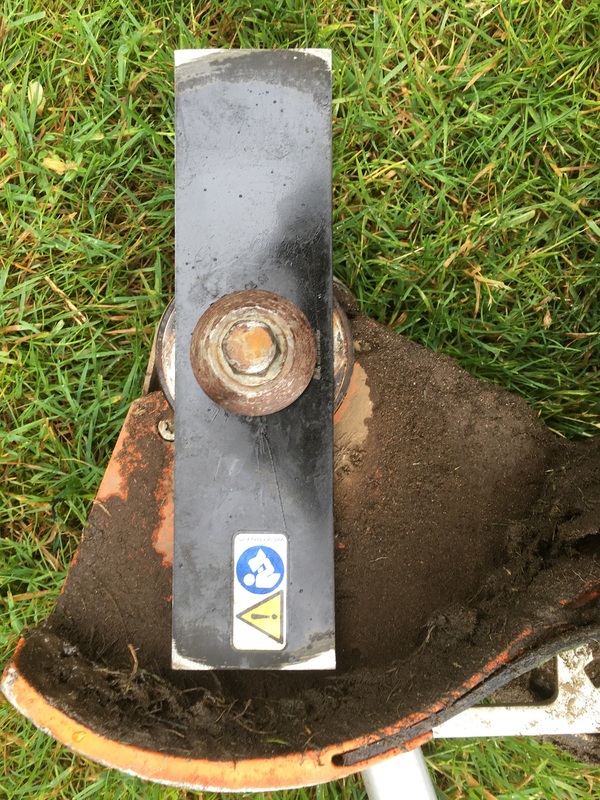 Vertical edging refers to a line edger with string positioned so the head spins vertically north to south. 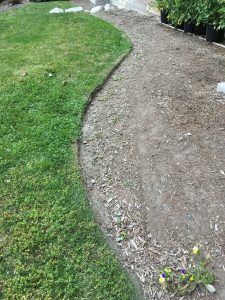 Regular line edging runs horizontally along the grass and matches the height of the mower. So why do I find it disturbing? There are several reasons detailed below. Feel free to comment on this post and let me know how you edge. I’d love to know. This is an actual client complaint. 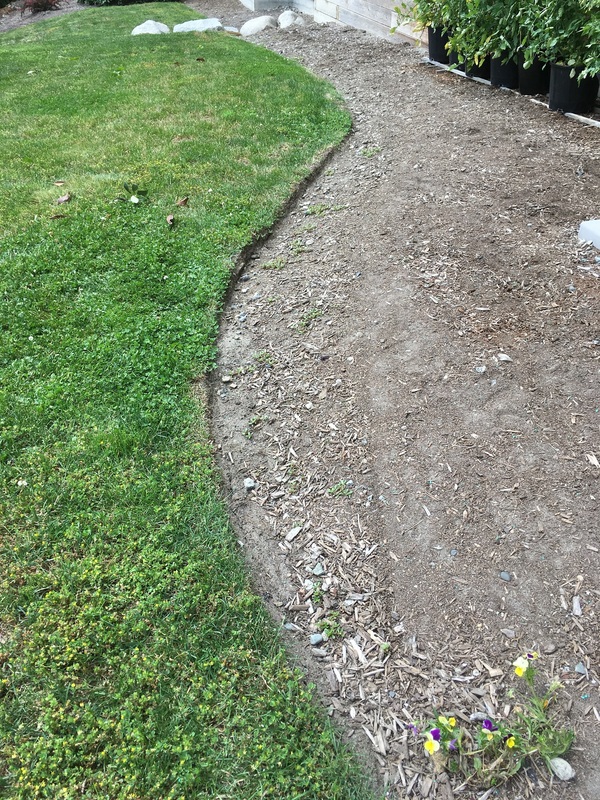 As vertical edging happens weekly the lawn edge erodes so the bed actually extends farther into the lawn. This is because the line doesn’t hit the edge at the recommended 90 degrees, the way a blade edger would. The owner here is planning to install permanent plastic edging. Blade edgers use a sharp blade which creates a beautiful discreet ninety degree edge. 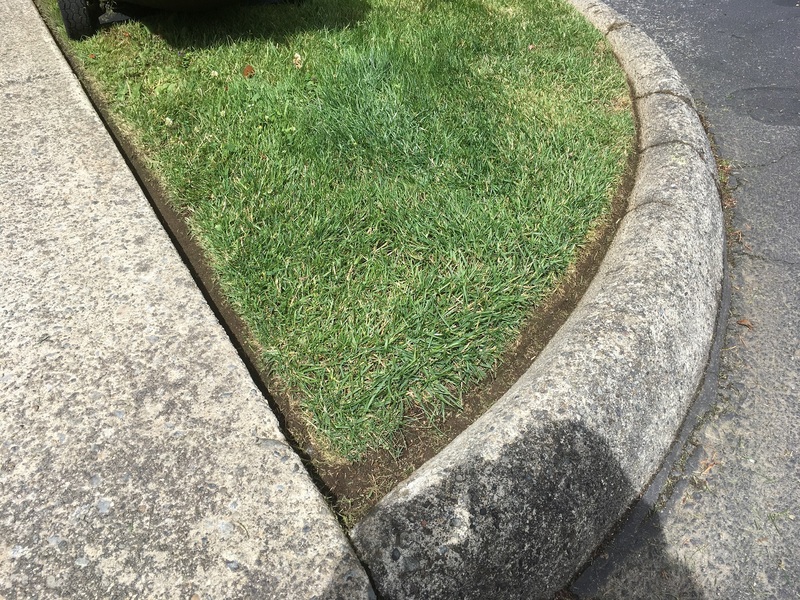 Vertical edging creates massive gaps that aren’t anywhere near 90 degrees. This is by far my biggest problem with vertical edging. 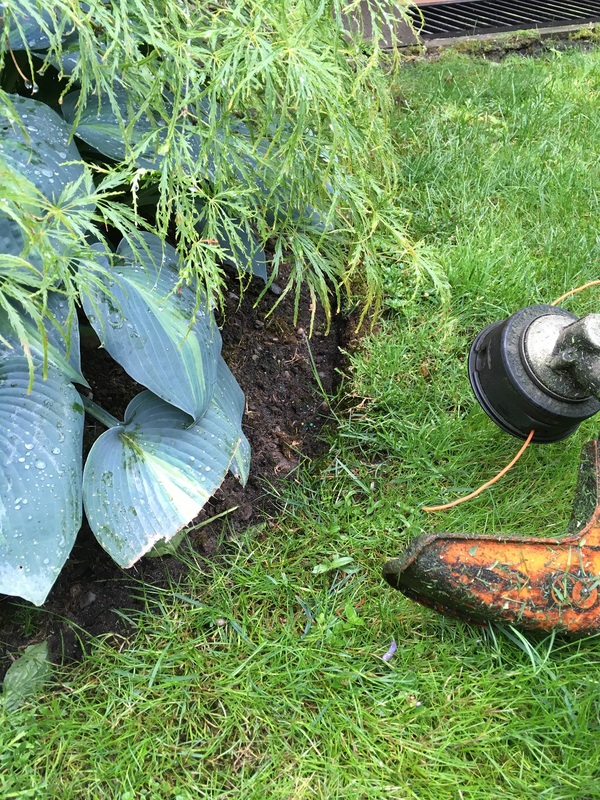 Blade edgers have a guard so you can easily sneak under border plants without shredding them. This is very hard to pull off with a spinning line. Now what? Clearly the Hosta pictured above is getting shredded weekly and to complete the entire edge you will also have to behead the Acer palmatum dissectum. I have trouble doing that. 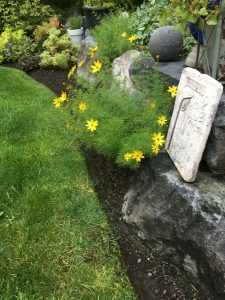 Pictured above is the strata president’s Coreopsis. I wasn’t brave enough to shred it so I skipped the edging. 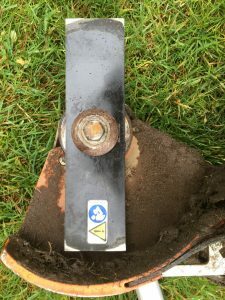 A blade edger can sneak under easily. It’s these interruptions that I find disturbing. I like to edge on autopilot. How do YOU edge? Leave comments.